It is about time we start to take Bing seriously. They’ve reached a market share of 30% in the US, are the only one growing in the UK and just got out of beta in France. Still many in Europe don’t consider them to be a grown up player in the market. Bing’s intent is to change that. 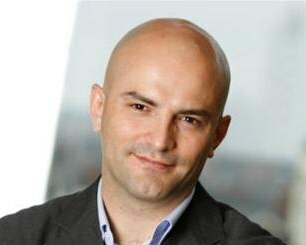 At the head of EMEA Marketing Lead – SMB Advertising for Microsoft Advertising Cedric Chambaz is working on just that. He spoke at the International Search Summit in Munich and will be speaking at SMX London (on the same panel as me by the way, so I am honored!) in May, which is combined with the London version of ISS. We had the opportunity to ask Cedric some questions about Bing, Europe and more. Find his answers below. What is your exact role with Bing? Since I contributed to launch Bing in the UK, I have been helping British and European brands understand the opportunity associated with this innovative search experience. Irrespective of the organization’s size, i.e. small businesses on a tight budget or large blue chip companies, their marketers have been impacted by the recent economic turmoil. There is today a greater scrutiny on how marketing funds are invested, and turning a cost centre into a clear and immediate profit centre is certainly a reason why search marketing has benefited from budget reallocations. Yet even in this discipline advertisers have realized that they cannot accept to drive traffic at all cost, especially if this traffic is unlikely to convert. As such, understanding the paid and organic opportunities enabled by a diversified search strategy is critical to achieve greater ROI… This is in essence my role: helping marketers to deliver greater impact on their business, and with a higher propensity to convert compared to the average searcher Bing audience is a great way to do so (according to Nielsen Netratings, Bing users are 48% more likely to buy than the average UK searcher). How will Bing be able to compete with Google? Bing is a powerful new type of search service that will help people make faster, more informed decisions. Research indicates that people are using search today to make decisions, above and beyond simple navigation. We designed Bing to help people overcome search overload, which we define as “too many links — not enough real information,” to help them with key decisions like buying a product, planning a trip or investigating their local businesses. We’ve found that 66% of people are using search more frequently to make decisions. In these instances, people need a search tool that intelligently surfaces a range of information to help them make better choices. For all queries, but particularly those kinds of questions (shopping, travel, and local) we believe Bing is a better search tool because it more accurately reflects this changing user behavior. We believe the future of search is one that more accurately maps a searcher’s intent to an action, rather than just more links. You spoke at the International Search Summit in Munich, what was your talk about? My presentation in Munich was focused on the Yahoo! and Microsoft Search Alliance, and how after having been deployed in North America, it will impact internationally and Europe in particular. This is a major change in the digital marketing landscape, as it offers brands and search agencies a new competitive alternative as the two best converting search engines consolidate their high quality audiences. Practically speaking, advertisers will be able to promote their business to a larger, highly converting audience of Bing and Yahoo! users, in less time and efforts. This will improve productivity and budget efficiencies, especially for resource-constrained advertisers, by allowing them to manage their search campaigns at both search engines from a single platform. As part of the alliance, Microsoft’s technology will indeed power Yahoo!’s search and search advertising infrastructure, meaning that the alliance covers algorithmic search (web, image and video through Bing’s algorithm) and search advertising. Microsoft and Yahoo! will unify their paid search marketplaces, and Microsoft’s search advertising platform, Microsoft Advertising adCenter, will be used for paid search advertising. Everybody in Europe is kind of lost when it comes to when Bing will be fully integrated in Europe. Can you give us some insights on the process? As mentioned before, Bing’s ambition is to help user make more informed decision, but to do so it is critical to understand the unique needs of local users. A one-size-fits-all solution, biased by a dominant market like the US, is not the way forward. This is why Bing invests locally to enrich its global experience. In Europe for instance, search technology centres have been opened in London, Paris and Munich with engineers fully dedicated to the localization of Bing. This means teaching the algorithm to perfectly handle local intents, local spelling, local acronyms… This also means developing user experiences which resonate with the local expectations. Let’s take the French example: on March 1st Bing went out of beta with a search experience tailored to the French needs. Based on extensive consumer research Bing launched a qualitative and disruptive service with an innovative, more visual search experience which respects both the user privacy and the rights of publishers. On the latter in particular, Bing partnered with numerous iconic local content providers to enrich its offering, whether in local through Pages Jaunes, entertainment with Allocine or even in literature since Bing enables the Moliere and Racine fans to consume the content of the national library straight in the SERP. Such a systematic approach enables us to really fulfill unmet needs, establish a new, viable alternative that is convincing more users to use us more often. What can we expect from Bing in the coming year? After almost 15 years, search is not even a teenager: it is still in its infancy… No one has really cracked it yet and there is still a long way to go. So you will continue to see Microsoft innovate to further refine our service and continue to see our user base grow. Our approach and the quality of our results have already convinced significant players such as Facebook, Yahoo!, CNBC… to adopt our technology. And these are more than syndication deals, they are often deep partnerships. The Facebook integration with Bing is for instance a great foray in how social networks can help redefine the expectations towards relevancy. Similarly Bing embraces the rise of mobile internet consumption. Whether in browser, in apps or embedded in the hardware like on Windows Phones 7, Bing is investing a lot in local and mobile intents with new services like Bing Business Portal launched recently in the US. To that extend the deal with Nokia which will see all the Finnish smart phone devices embark Windows Phone 7 operating system and Bing will be a significant accelerator of our adoption. How do you see search and social come together in the near future? Search engines have got a critical, though very difficult mission: deliver relevant information to a consumer after that person enters just a few words in a box. For the last decade, the main factor of relevancy was based on the content and how this content is interconnected to the rest of the internet. In other words the more sites are pointing to a given page covering the words typed by the searcher, the more likely that page is to be relevant. Yet that is only a proxy. One proxy. Search is a very personal experience. What I consider being “cheap holidays” may differ drastically from what a student or a City Banker may think. So how could we add a level of personalization in the search results? Think about it this way: if a piece of content is seen as relevant by my friends, is not it likely to be relevant to me too? Microsoft for instance has agreed a series of deals with Facebook, Twitter, etc. to further refine the understanding of the consumer intent by adding a social graph to the search results, hence increasing its relevancy. A relevancy which is personal rather than generic. Social search is indeed a lot more than the ability to search social networks… And that convergence has an impact on how marketers need to approach search and social media marketing. The cross-fertilization of the two disciplines is more and more critical, and yet we are still seeing them being handled in silo. Embrace search and social media throughout your business… Social media is not a marketing campaign, it is a long term, business-wide commitment; Search is more than just a traffic generator… If search is a data base of intent, social media is the depository of the sentiment. Jointly they inform how your brand is (mis)perceived and talked about: monitor to surface unmet needs and action them where necessary. Looking to attend the International Search Summit and SMX London? A 15% discount is available with the State of Search Code – StateofSearch011. Low quality is messing up my search experience, bring on the Panda!